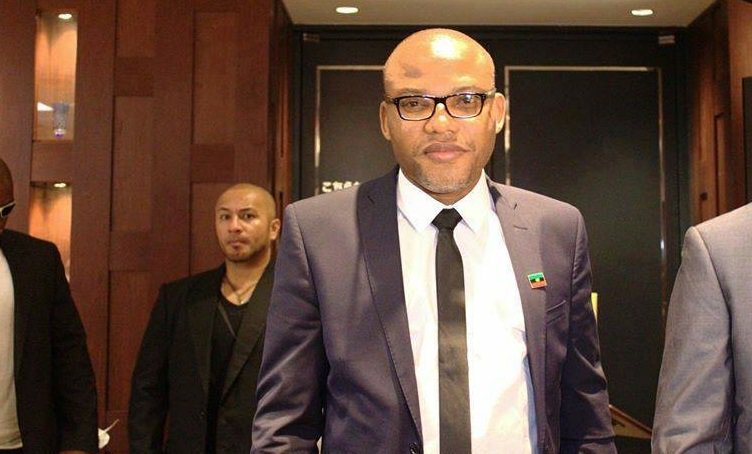 The Defence Headquarters (DHQ) in Abuja, has declared its readiness to deal decisively with Nnamdi Kanu, the leader of the Indigenous People of Biafra (IPOB), over his threat to make Nigeria “hell” when he returns to the country. The DHQ also vowed to stop any person or group planning to cause mayhem in the country. It has, therefore, advised those stockpiling weapons with the intention of causing havoc in the 2019 general election in the country, to have a rethink. Director, Defence Information, Brig-Gen. John Agim, gave the warning at a media briefing on the successes of military operations across the country in Abuja on Thursday. “Operation 777 is on and whoever that is coming to Nigeria with hell, Operation 777 will contend with the person, be it Nnamdi Kanu or any other person,” Agim said. He said Operation 777 was launched to specifically, to tackle those planning to disintegrate the country. According to Agim, Operation 777 which came into existence on October 8, has killed 35 suspected criminals and arrested 98 bandits in the last two weeks.